SAN FRANCISCO, CA - While Rugby World Cup Sevens 2018 is undoubtedly a benchmark in the history of American rugby, the experience at AT&T Park is only a portion of the imprint this tournament will leave here in the United States. Rugby World Cup Sevens 2018, Play Rugby USA, USA Rugby Academy powered by Atavus and Playworks Northern California all announced today at the 2018 USA Rugby National Development Summit an initiative called, Impact Beyond. The program's drive is to leverage the international tournament as means for growing interest in the sport, specifically on the youth level. USA Rugby and its partners look to lead enjoyable programs focused on promoting the community values of rugby. Impact beyond is comprised of a new "Let's Play Rugby" curriculum developed by its partners, combining the fun of rugby with the ethics of the sport. The curriculum can be downloaded and shared by all USA Rugby youth programs, available at usarugby.org/impact-beyond. The curriculum looks to educate in three areas; inclusion, cultural appreciation and the skills of rugby. USA Rugby CEO, Dan Payne noted, "Impact Beyond has a unique opportunity to expand the tournament's lasting effect, and exponentially build the game's popularity. Not just in Northern California, but hopefully nationwide." The program will also feature a collection of events, with the launch taking place in Denver, Colorado at the USA Rugby National Development Summit. Activations then move on to Impact Beyond Regional Youth Tournaments in February and April, shortly followed by the Playworks Jamboree and Play Rugby USA Bay Area Cup. 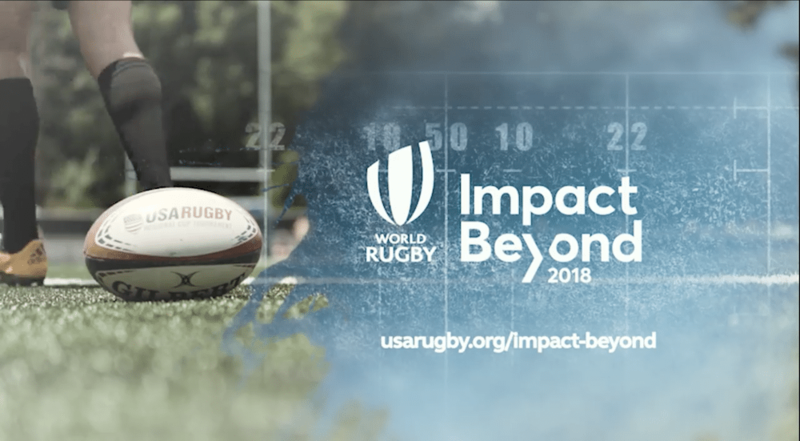 Play Rugby USA's San Francisco Program Director, Anthony Lenos added, "Impact Beyond is an exciting partnership that will allow our program to continue achieving our vision, "A better world through rugby." Marti Blum, Executive Director of Rugby NorCal also noted, "The Bay Area is a hotbed of growth in America and there is no better place to implement Impact Beyond. We are able to introduce the sport of rugby in a safe and fun manner to so many kids across the region. With the hard work of the Impact Beyond staff, I know this program will positively impact the lives of these players and provide them with a foundation of responsibility, encouragement and motivation." "Playworks Northern California is honored to be working with the collaborative led by USA Rugby under the Impact Beyond banner, and shares the values around inclusion, youth skill development and play that are driving our shared efforts." said Paul Collins, Executive Director to Playworks Northern California, "We look forward to the first Rugby World Cup Sevens on U.S. soil - and the ongoing partnerships that both model and teach the power that inclusion and play can have in strengthening our own bonds. Along with those of the generation growing up right now on playgrounds and pitches everywhere." Tournament organizers hope the globally recognized competition can influence American rugby by creating a positive and sustainable legacy from the event, and directly pass that along to Bay Area youth. "We could not be more excited for Impact Beyond to get underway here in the Bay Area." said Rugby World Cup Sevens 2018 General Manager, Rosie Spaulding, "We look forward to getting more youth involved in rugby locally. We hope this program inspires younger generations through its values and fosters future rugby enthusiasts and life-long friendships from those who participate in the program."